1. Heat a pan dry roast Pepper and cumin seeds until little brown and allow them to cool. Add this to a mixture grinder and grind it into powder. 2. 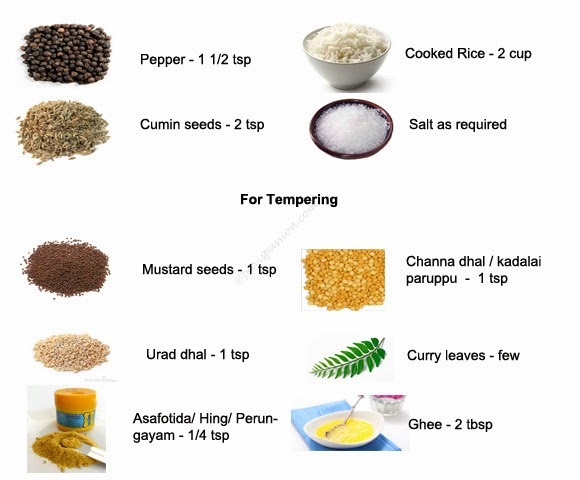 Heat a pan or kadai add 1 tbsp of ghee in it, then add all the temper items, Mustard, channa dhal, urad dhal and curry leaves when it sputters add Hing/ Asafetida to it and mix well. Then add the cooked rice in it and mix well. 3. Then add the powder (pepper cumin) and salt to it (adjust the powder according to required spice) and mix well with 1 tbsp of ghee. and mix in the pan for a minute. Transfer this to a bowl. 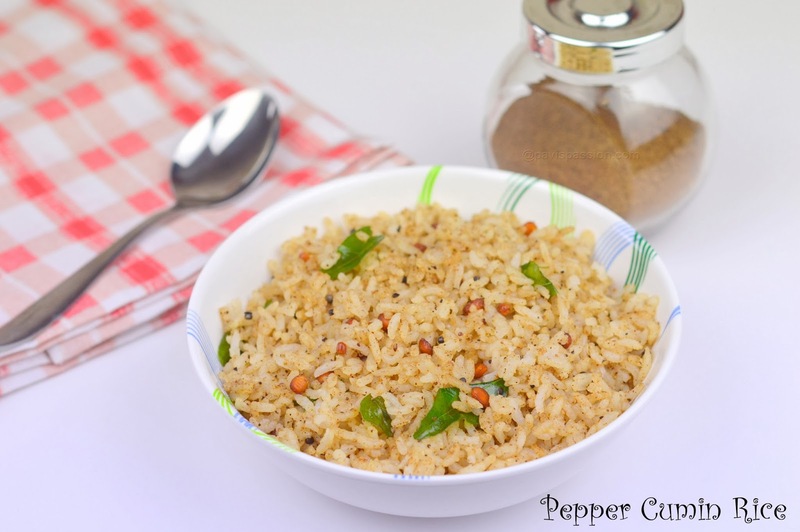 Pepper cumin Rice is Ready ... Serve hot with puppet or any stir fry/poriyal of your choice..
1. Do the step 1. and keep the powder in an airtight bottle and use whenever you want. 2. 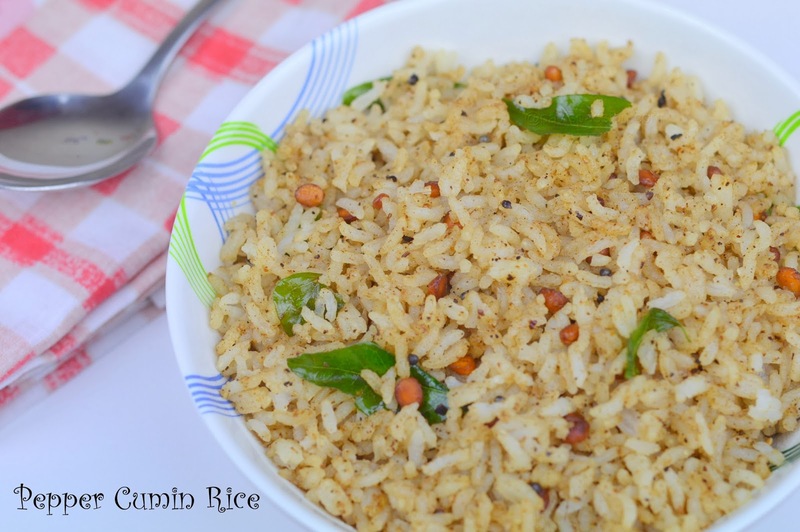 If you have left over rice you can make this rice easily with the pepper cumin powder.